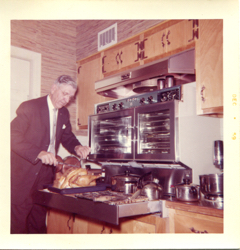 Acknowledging that design and food are everywhere, this talk analyzes the relationship between foodways and kitchens in mid-century Memphis. Time-saving foods, creative yet informal presentations, and colorful spaces demonstrated changing social standards at the same time Architecture struggled between tradition and modernism. From the death of E.H. Crump to the Civil Rights Act, Memphis mirrored national trends and changing demographics through the enthusiastic construction of suburban neighborhoods. 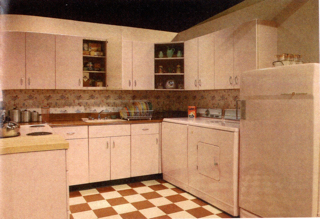 Yet, as a Southern city, historical elements of class, race, and gender remained, particularly in the space of the kitchen. This talk will look at a few kitchens and memories to explore the role that culture plays in our sense of place. Presented by Angela Keesee, AIA.